These traditional-style guest rooms are available in either one king bed or two double beds. 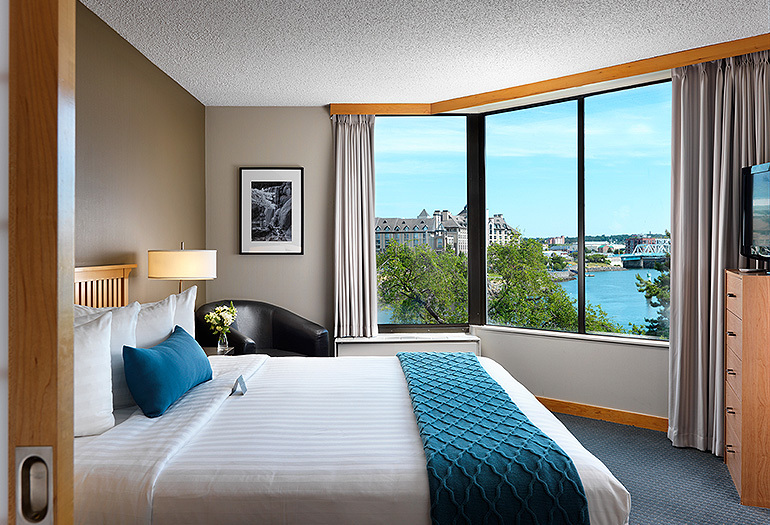 They are located on higher floors and feature private Juliette balconies you can stand on and premium views of Victoria, BC’s famous inner harbour. 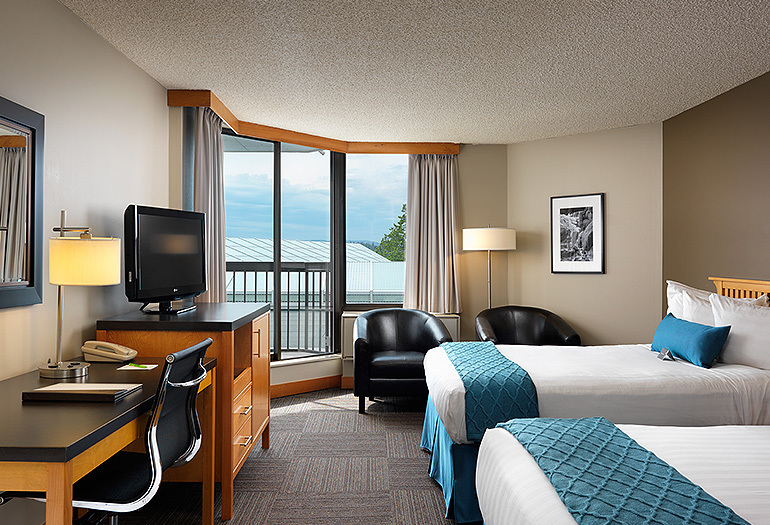 These guest rooms are spacious, bright and invite rest and relaxation. Brew some complimentary coffee or tea and take in the stunning views. Traditionally styled water view rooms. Bright, traditionally styled rooms with no view. 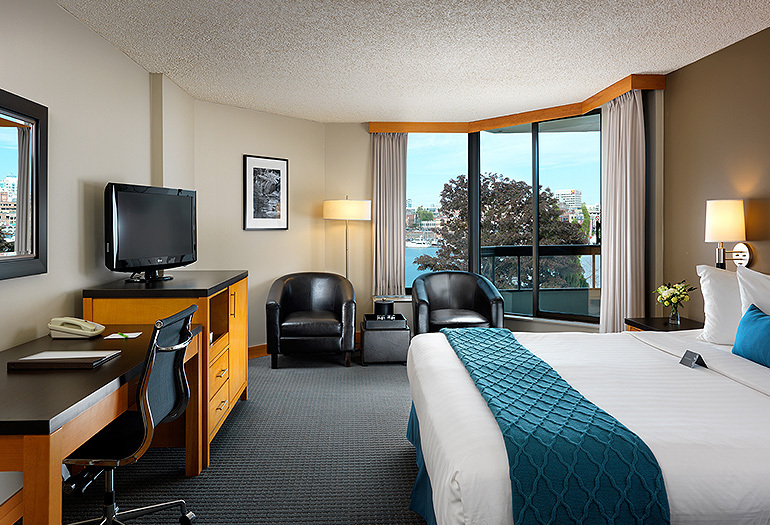 Spacious rooms, featuring balconies with spectacular sunset views over Victoria’s Outer Harbour. Suites with views of the water & a small standing balcony. 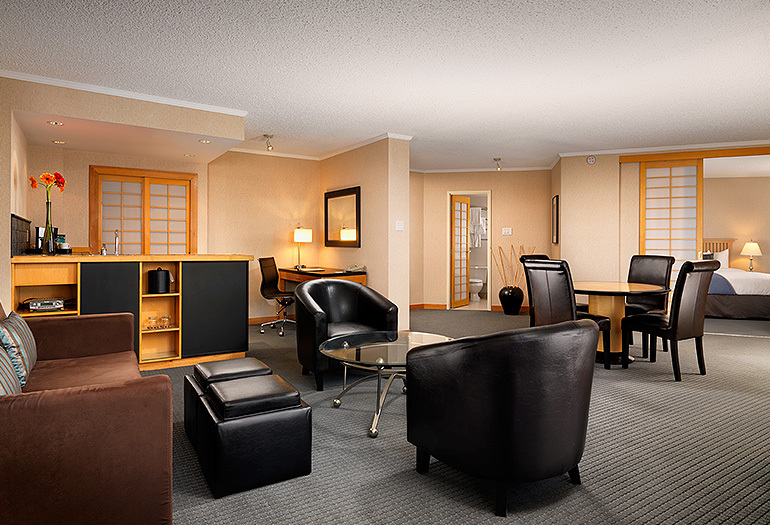 Spacious suite with private bedroom and large living room area, perfect for families or friends travelling together.